A2B Excellence has a rich heritage in civils and construction; but the majority of our work has been in rail. In the past year, we have begun to apply our programme improvement methodologies to highways too – and just in time: Chancellor Philip Hammond has announced over £1bn in spending to improve Britain’s roads. We have been working in partnership with TRL, the UK’s leading independent strategic transport business, to build coherent, forward-thinking highways infrastructure propositions. As long-standing partners in TRL’s highways consortium (also including civil engineering giants, Jacobs and Costain, and environmental consultancy, the Temple Group) we were therefore delighted to be a part of the Highways UK exhibition and conference at Birmingham’s NEC. This two-day event is the pre-eminent industry networking opportunity and a chance to connect with the people who offer best practice processes and the latest technologies. 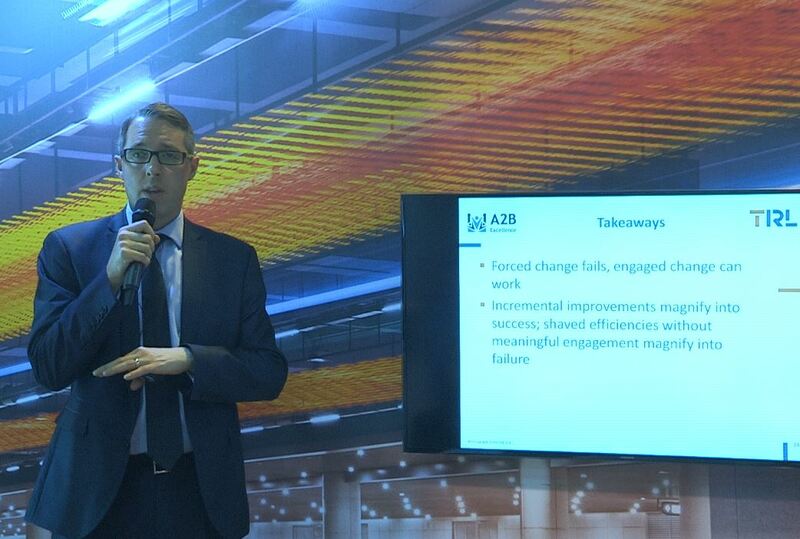 As well as attending, A2B Excellence CEO Jim Abbatt was on stage, spreading the A2B gospel of powerful incremental change through engagement. Road and rail operate in identical ways. They face the same challenges: a fragmented and multi-tiered contractor regime, squeezed budgets and inherent complexity. And they demonstrate the same opportunities: plenty of willingness and latent talent, plenty of business on the table and a skilled workforce from professions through to trades. We are delighted to be the professional services partner to TRL’s highways consortium. If you would like to explore our contribution to roads and construction, do get in touch. 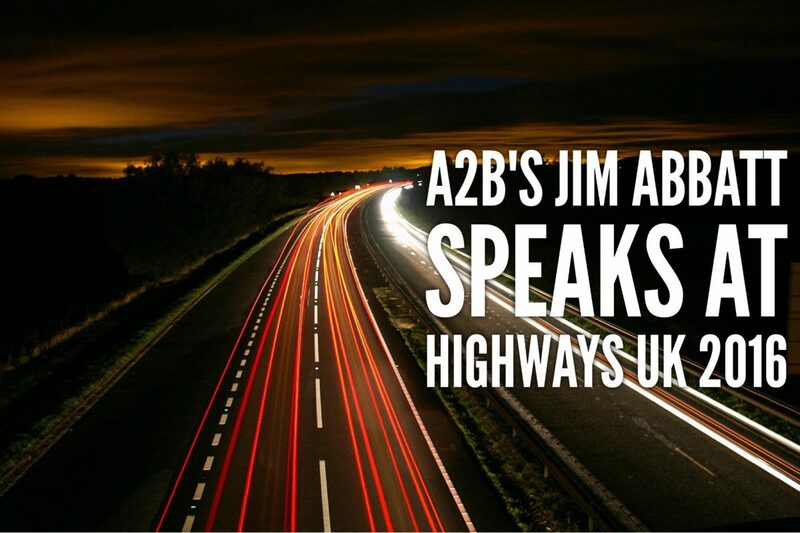 We’ll be publishing the full video from Jim’s presentation soon.